This is an annotated version of the article Race and the Priesthood at lds.org. To display the annotation, click on the note numbers at the end of a paragraph (Note 1, Note 2, etc.). Click again to hide the note. The annotations are not part of the original article. “And it came to pass that I looked and beheld the great city of Jerusalem, and also other cities. And I beheld the city of Nazareth; and in the city of Nazareth I beheld a virgin, and she was exceedingly fair and white” (1 Nephi 11:13). “And it came to pass that I beheld, after they had dwindled in unbelief they became a dark, and loathsome, and a filthy people, full of idleness and all manner of abominations” (1 Nephi 12:23). “And I beheld the Spirit of the Lord, that it was upon the Gentiles, and they did prosper and obtain the land for their inheritance; and I beheld that they were white, and exceedingly fair and beautiful, like unto my people before they were slain” (1 Nephi 13:15). “And he had caused the cursing to come upon them, yea, even a sore cursing, because of their iniquity. For behold, they had hardened their hearts against him, that they had become like unto a flint; wherefore, as they were white, and exceedingly fair and delightsome, that they might not be enticing unto my people the Lord God did cause a skin of blackness to come upon them” (2 Nephi 5:21). “And then shall they rejoice; for they shall know that it is a blessing unto them from the hand of God; and their scales of darkness shall begin to fall from their eyes; and many generations shall not pass away among them, save they shall be a pure* and a delightsome people” (2 Nephi 30:6). * Originally “white”, changed to “pure” in 1981. “Behold, the Lamanites your brethren, whom ye hate because of their filthiness and the cursing which hath come upon their skins, are more righteous than you; for they have not forgotten the commandment of the Lord, which was given unto our father—that they should have save it were one wife, and concubines they should have none, and there should not be whoredoms committed among them (…) O my brethren, I fear that unless ye shall repent of your sins that their skins will be whiter than yours, when ye shall be brought with them before the throne of God. Wherefore, a commandment I give unto you, which is the word of God, that ye revile no more against them because of the darkness of their skins; neither shall ye revile against them because of their filthiness; but ye shall remember your own filthiness, and remember that their filthiness came because of their fathers” (Jacob 3:5, 8-9). “And the skins of the Lamanites were dark, according to the mark which was set upon their fathers, which was a curse upon them because of their transgression and their rebellion against their brethren, who consisted of Nephi, Jacob, and Joseph, and Sam, who were just and holy men” (Alma 3:6; the subject of skin colour as the sign of a curse continues until verse 19, where it is concluded that “every man that is cursed brings upon himself his own condemnation”). “And it came to pass that those Lamanites who had united with the Nephites were numbered among the Nephites; And their curse was taken from them, and their skin became white like unto the Nephites; And their young men and their daughters became exceedingly fair, and they were numbered among the Nephites, and were called Nephites” (3 Nephi 2:14-16). “And also that the seed of this people may more fully believe his gospel, which shall go forth unto them from the Gentiles; for this people shall be scattered, and shall become a dark, a filthy, and a loathsome people, beyond the description of that which ever hath been amongst us, yea, even that which hath been among the Lamanites, and this because of their unbelief and idolatry” (Mormon 5:15). It is not possible to extrapolate the local demography of a Mormon congregation to the level of “the structure and organization of the Church” as a whole. In the US, for instance, where most active Mormons live, 91% if the members is white, 8% Hispanic and only 1% black and/or Asian (Kosmin et al. 2001, pp. 34-35). The Mormon church has no professional clergy. All men can become church leaders at the local level, hence the term “lay ministry”. The global church leaders, referred to as “General Authorities”, are fulltime, paid executives although they too lack theological or sociological training and can be considered “lay ministers” in that sense. As has been observed in note 2, incidental, local trends cannot be extrapolated to a general level. These examples may be true for local church leaders in a specific congregation but the picture for the General Authorities, who set and implement the Mormon church’s global policies, is completely different. They are mostly white males, as can be seen on this October 2013 poster. Joseph Smith’s position during his brief participation in the US presidential elections of 1844 was a political statement and cannot be interpreted as representative for his religious opinion on slavery. “We believe it just to preach the gospel to the nations of the earth, and warn the righteous to save themselves from the corruption of the world; but we do not believe it right to interfere with bond-servants, neither preach the gospel to, nor baptize them contrary to the will and wish of their masters, nor to meddle with or influence them in the least to cause them to be dissatisfied with their situations in this life, thereby jeopardizing the lives of men; such interference we believe to be unlawful and unjust, and dangerous to the peace of every government allowing human beings to be held in servitude” (Doctrine and Covenants 2013, p. 280). As the timing and historical background of this declaration make clear, Joseph Smith’s position on slavery was primarily dictated by political expediency. In 1835, many Mormons lived in Missouri, a slave state, so Joseph Smith was in favour of slavery. In 1844, the year of his death, most Mormons lived in Illinois, a northern state, so then he was opposed to slavery. Elijah Abel was only one-eighth black and had a rather white complexion. 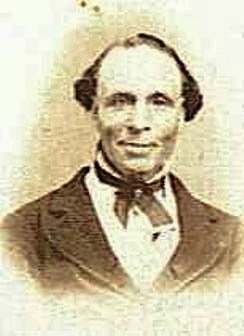 He was ordained an Elder in approximately 1836 but during a conference in June 1843, apostles John E. Page, Orson Pratt and Heber C. Kimball questioned his unique status as the only black person in the church to hold the priesthood. It was decided that he would no longer be allowed to act as a priesthood holder in public (Bringhurst 1979). Elijah Abel’s case was more likely a mistake than policy. It confirms that excluding blacks from the priesthood has been the policy of the Mormon church from the very beginning, in Joseph Smith’s lifetime. What is causally referred to here as “theories” and “explanations” is thoroughly embedded in the Book of Mormon: a dark skin is a curse from God; a dark skin is filthy and loathsome, and people with a dark skin are repulsive and lazy (see note 1). “For behold, the Lord shall curse the land with much heat, and the barrenness thereof shall go forth forever; and there was a blackness came upon all the children of Canaan, that they were despised among all people (…) And Enoch also beheld the residue of the people which were the sons of Adam; and they were a mixture of all the seed of Adam save it was the seed of Cain, for the seed of Cain were black, and had not place among them” (Pearl of Great Price 2013, pp. 21, 22). “Now this king of Egypt was a descendant from the loins of Ham, and was a partaker of the blood of the Canaanites by birth. From this descent sprang all the Egyptians, and thus the blood of the Canaanites was preserved in the land. The land of Egypt being first discovered by a woman, who was the daughter of Ham, and the daughter of Egyptus, which in the Chaldean signifies Egypt, which signifies that which is forbidden; When this woman discovered the land it was under water, who afterward settled her sons in it; and thus, from Ham, sprang that race which preserved the curse in the land. Now the first government of Egypt was established by Pharaoh, the eldest son of Egyptus, the daughter of Ham, and it was after the manner of the government of Ham, which was patriarchal. Pharaoh, being a righteous man, established his kingdom and judged his people wisely and justly all his days, seeking earnestly to imitate that order established by the fathers in the first generations, in the days of the first patriarchal reign, even in the reign of Adam, and also of Noah, his father, who blessed him with the blessings of the earth, and with the blessings of wisdom, but cursed him as pertaining to the Priesthood. Now, Pharaoh being of that lineage by which he could not have the right of Priesthood, notwithstanding the Pharaohs would fain claim it from Noah, through Ham, therefore my father was led away by their idolatry” (Pearl of Great Price 2013, pp. 31). During the second half of the nineteenth century, the Mormons built their community in Utah in relative isolation. There was no external reason to accommodate “American racial culture” at that time. The complete quote on which the last sentence is based according to the sources in the endnote to this paragraph, reads as follows: “That time will come when they will have the privilege of all we have the privilege of and more. In the Kingdom of God on the earth the Africans cannot hold one particle of power in government”. Brigham Young specifically preached that lifting the restriction would not occur “in the kingdom of God on the earth”. In that same sermon, Brigham Young also said that lifting the racial restrictions would be the end of the church: “On that very day, and hour we should do so, the priesthood is taken from this church and kingdom and God leaves us to our fate. The moment we consent to mingle with the seed of Cain, the Church must go to destruction”. The context of these and similar statements made by Brigham Young on this topic make it clear that he did not anticipate the restrictions being lifted at any time in the foreseeable future. It is not clear why the authors of this article quote various external sources to explain the origins of these views on race but leave out Mormon scriptures (standard works) of which they form an integral part (see notes 1 and 6). This appeal to “American racial culture” raises the question how these 18th and 19th century views ended up in scriptures which Mormons believe are a translation of ancient writings. Even after 1852, at least two black Mormons continued to hold the priesthood. When one of these men, Elijah Abel, petitioned to receive his temple endowment in 1879, his request was denied. Jane Manning James, a faithful black member who crossed the plains and lived in Salt Lake City until her death in 1908, similarly asked to enter the temple; she was allowed to perform baptisms for the dead for her ancestors but was not allowed to participate in other ordinances. The curse of Cain was often put forward as justification for the priesthood and temple restrictions. Around the turn of the century, another explanation gained currency: blacks were said to have been less than fully valiant in the premortal battle against Lucifer and, as a consequence, were restricted from priesthood and temple blessings. The Mormons have always been fairly active in the Pacific because they believe the Pacific islanders are descendants of the Nephite people from the Book of Mormon (Ludlow 1992, pp. 1110-1112). In Mormon racial theory, Nephites were considered “pure and delightsome” (see note 1), so the racial restrictions did not apply to the peoples of the Pacific. The authors of this article try very hard to create the impression that the exclusion of blacks is not a doctrine of the church but a policy that gradually emerged over time. They ignore the fact that the exclusion is an integral part of Mormon scripture (see notes 1 and 6), and therefore Mormon doctrine. This letter was the first time church leaders publicly distanced themselves from the scriptural explanation for the racial restrictions and feigned ignorance about the reason for the priesthood ban. In chambers, however, church leaders like Joseph Fielding Smith and Harold B. Lee continued to hold and express the traditional views (Kimball 2008). As the Church grew worldwide, its overarching mission to “go ye therefore, and teach all nations” seemed increasingly incompatible with the priesthood and temple restrictions. The Book of Mormon declared that the gospel message of salvation should go forth to “every nation, kindred, tongue, and people.” While there were no limits on whom the Lord invited to “partake of his goodness” through baptism, the priesthood and temple restrictions created significant barriers, a point made increasingly evident as the Church spread in international locations with diverse and mixed racial heritages. Back home in the US, the church also caught a lot of flak for its priesthood restrictions. Nobody wanted to listen to the missionaries anymore, there were demonstrations against the church and there was even a bombing of the Salt Lake City temple. Church educational institutions like Brigham Young University also received heavy criticisms. When BYU sports teams played, there would be demonstrations, opponents would refuse to compete or wore mourning bands. This caused considerable damage to the church’s reputation (Kimball 2008). “We state categorically that the federal government made no such threat in 1978 or at any other time. The decision to extend the blessings of the priesthood to all worthy males had nothing to do with federal tax policy or any other secular law” (Olsen 2001). Still, there are some indications that the IRS may have been looking into the church’s educational institutions after all. In January 1970, a district court had issued an injunction prohibiting the IRS to grant tax exemption to private schools that practiced racial discrimination. The IRS changed its policy accordingly in July 1970 and on November 30, sent a letter to “all private schools in the United States at all levels of education” outlining the new policy (Bob Jones University vs. United States 1983). Based on this revised policy, the tax-exempt status of Bob Jones University, who refused admission to blacks, was revoked. The case was heard before the United States Supreme Court in 1982. Then Solicitor-General Rex E. Lee, a Mormon, recused himself from the case because of a conflict of interest. He explained that he had once given legal counsel to the Mormon church when it had the same problem as Bob Jones University (Caplan 1987, p. 50). In summary, it is certain that the Mormon church and its associated educational institutions were suffering severe reputation damage and, like other private schools, faced losing significant tax breaks. While these may not have been the only motivations for lifting the priesthood ban, it stretches credulity to claim that “federal tax policy or any other secular law had nothing to do with it”. This description is a simplified (and romanticized) version of the actual decision making process. The way church president Kimball’s son described it (Kimball 2008), it is more reminiscent of a manager who wants to implement a change, seeks support in the organization and considers the best way to communicate the change. June 1977. Church president Spencer W.Kimball asks three General Authorities to write memo’s on the implications of a possible lifting of the priesthood ban. March 9, 1978. During a joint meeting of the First Presidency and the Quorum of Twelve Apostles, it is decided that an eventual lifting of the restrictions must be presented as a revelation of the president of the church. March 23, 1978. President Kimball has decided to lift the ban and runs it by his two counselors, who support the decision. They discuss the impact of the change and the timing of the necessary actions that will have to follow. They decide there is no rush and want to elicit the support of the Quorum of Twelve. May 30, 1978. Kimball submits a preliminary declaration to his counselors. They ask the church history department to research previous statements on this subject. June 1, 1978. Kimball asks apostles Packer, McConkie and Hinckley to each write a draft for the announcement of the change. June 7, 1978. Francis Gibbons, Kimball’s secretary,has composed a final draft based on the three proposals by Packer, McConkie and Hinckley. The First Presidency makes some further adjustments. June 8, 1978. The declaration is submitted to the Quorum of Twelve, who propose a few changes to the wording. The timing of the announcement is discussed. Some wanted to wait for the October General Conference but apostle McConkie favoured immediate announcement. He was concerned that knowledge of the change might leak and the church would lose control over the way it would be communicated. That afternoon the declaration was first presented to the Quorum of Seventy, after which the press was informed. The revelation rescinded the restriction on priesthood ordination. It also extended the blessings of the temple to all worthy Latter-day Saints, men and women. The First Presidency statement regarding the revelation was canonized in the Doctrine and Covenants as Official Declaration 2. This arguably is the most important and far-reaching paragraph of this article. It implies that current church leaders think that Mormon scriptures contain incorrect “theories”. It will be interesting to see how this insight is worked into the next authorized edition of its standard works. The Church proclaims that redemption through Jesus Christ is available to the entire human family on the conditions God has prescribed. It affirms that God is “no respecter of persons” and emphatically declares that anyone who is righteous—regardless of race—is favored of Him. The teachings of the Church in relation to God’s children are epitomized by a verse in the second book of Nephi: “[The Lord] denieth none that cometh unto him, black and white, bond and free, male and female; … all are alike unto God, both Jew and Gentile.